This fun activity involves a couple of very interesting ingredients – shaving cream and food colouring! Make mesmerising patterns to frame and hang on your wall or use your beautiful paintings for greeting cards! 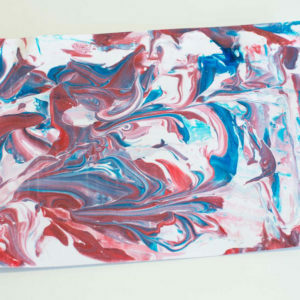 Set aside the A4 paper to dry on a flat surface and then admire your creations!